5m (approx) cable, Foam filter, cloth filter, dust bag, 1.5m suction hose, dual action floor brush. Crevice tool and 3 x 345mm plastic extension tubes. Robust stainless steel vacuum. 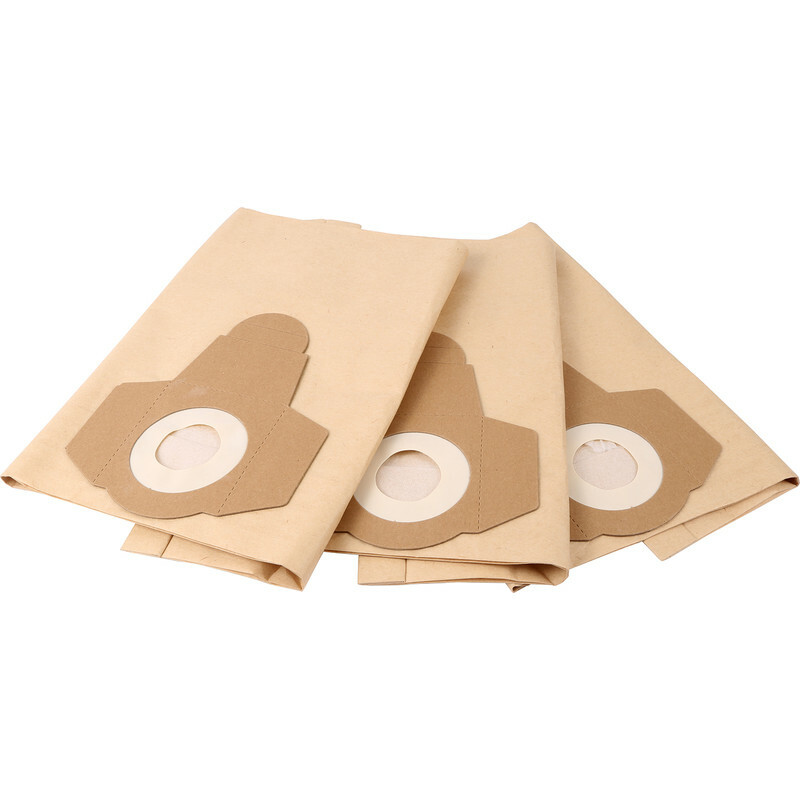 Draper 20L Wet & Dry Vacuum Cleaner Dust Bags 20515 (3 Pack) is rated 4.3 out of 5 by 8. Rated 5 out of 5 by TBSW from Really good for the price I've had a few shop vacs, always in the mid priced range. This is the best one of them by far that I've purchased. Rated 4 out of 5 by Ugbug from it's a dust, and it does its job. Purchased from you before a couple of times, they are for the Draper wet and Dry vac purchased from you. Rated 5 out of 5 by Parksider from Great little vacuum Bought to replace old wet and dry. Have only used it dry so far. Good suction easy to empty. Rated 5 out of 5 by rigamortis from Super service I bought this item for our vaccum cleaner and it is great value. Rated 4 out of 5 by Chris 31 from Good Suction I have only used it in "dry" mode so far and only a couple of times, it has plenty of suction. Rated 1 out of 5 by dukeyfox from The worst quality vacuum cleaner ever The pics and spec looked good in the catalogue and being Draper I credited it with a little more quality than I was faced with upon taking it out of the box. The so called 'heavy duty stainless steel' drum was anything but. Upon removing the motor housing to access inside the cleaner it was apparrent that the drum had quickly sprung into an ovaloid shape. It wasn't as sturdy as a baked bean can (and I really mean no joke) and unless you were very careful it could be easily bent out of shape. So, bearing in mind it was already out of shape, I affixed the plastic wheels with some difficulty as each time I put pressure on the drum it wanted to bend even more. I then tried to fit the sponge/plastic net filter to the motor, only to find that the slightest of pressure caused it to rip and disintegrate as if it were perished. Fitting the paper dust bag was another chore and required the stregth of hercules to stretch it accross the inlet but it needs to be tight. Refitting the motor housing to the drum was difficult as the drum had sprung oval in shape and the moment I started the motor it was apparrent that the air was escaping from around the drum housing because of the poor fitting and also the fact there is no seal around it, so the plastic housing - to metal didn't seal - hence it was sucking around the top of the housing as oppossed to up the tube. After a few minutes of use, it stopped sucking. Opening it up again I noticed that the paper bag was also disintegrating and hole had appeared thereby filling the mesh filter with dust, but as this was already holed, dust and debris could get into the motor housing. At this stage it was obvious that this was utterly over rated, over priced and not fit for purpose. I am surpsised if not shocked at the fact it bears the Draper label as this usually denotes fair quality for a fair price. The one and only good thing is that the motor is a powerful one and had I been able to fit it to something else, I would have been happy. Avoid this one at all possible cost. Cheap and nasty, not fit for purpose, and now on its way back from whence it came.